SalesHero last week introduced a new artificial intelligence-based sales assistant known as "Robin." 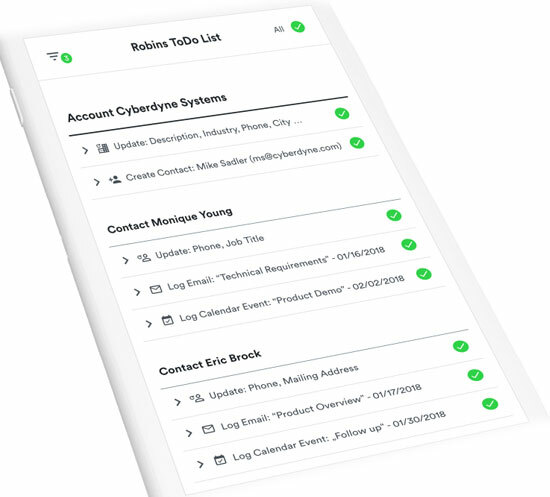 Built for the sales rep, Robin can learn from a user&apos;s actions and automate processes to help improve a sales team&apos;s daily productivity. Help to accelerate customer engagement through automated scheduling. "As personal household AI assistants become de facto, we believe that business AI assistants will grow in tandem," said Stefan Groschupf, CEO of SalesHero. "In less than 10 years, all information workers will have a personal AI business assistant with SalesHero chief among them." SalesHero was built by the founding team of Datameer, a big data analytics firm, which has raised US$4.5 million in seed funding to develop sales-based artificial intelligence. AI could be a true game changer for sales. AI-powered CRM activities could help boost business revenue by $1.1 trillion dollars from 2017 to 2021, IDC has predicted. Worldwide spending on cognitive and AI systems could reach $57.6 billion by 2021, suggesting there could be serious payoffs for investments in this tech. "Most people don&apos;t realize that AI will impact every electronic solution we use, and this is a good example of that," said Jim McGregor, principal analyst at Tirias Research. "Often the most successful salespeople are those that have assistants that help them dot the i&apos;s and cross the t&apos;s," remarked Rob Enderle, principal analyst at the Enderle Group. "Typically only the highest-performing sales reps get these, thus creating a cart/horse problem," he told CRM Buyer. "It is hard to become a top rep without an assistant, but you can&apos;t get one until you are. SaleHero&apos;s offering is designed to remove this problem, because you can scale an AI assistant relatively cheaply." One of the biggest challenges with CRM tools is in getting the salespeople to use the tools consistently and to input the information correctly, Tirias&apos; McGregor told CRM Buyer. "From that perspective, this is a brilliant idea, and it automates many of the tedious tasks," he added. There is functionality that could help improve the process, however. "It appears to leverage the user&apos;s email and calendar most," McGregor suggested. "It would be nice to also have an image recognition UI for capturing information from business cards, and maybe even images of the clients, all privacy issues aside." It is said that a good salesperson could sell ice cubes to Eskimos, and that it is the salesperson -- not the product -- that really matters. It isn&apos;t as clear if Robin can adapt easily enough to be a good salesperson, though. "It will still need to be customized to fit different companies, like all CRMs," said McGregor. "The AI interface will have to go through a learning process as well, so, don&apos;t expect it to be perfect out of the box," he cautioned. "It is, however, a step in the right direction." There are little details that no doubt will require some fine-tuning along the way. "It notes that it assigns new contacts to existing accounts, but what if you don&apos;t want that and need to assign multiple account numbers to the same company?" McGregor pondered. "Most sales tools like this are pro forma and based on scripts," said Enderle, "which means they are one-size-fits-all in a market where sales reps are very different from each other." However, AI could help in the customization. "AI allows the tool to learn to provide the specific help needed by the sales rep, far closer to what a human could do, and it scales far better than a human-based solution can," Enderle added. "This does represent the future of sales, but it likely will only work with reps that will except a technology based solution." It&apos;s unclear how SalesHero will fare against competition in the CRM world, observed McGregor. "How long will it be before Saleforce offers their own AI interface, acquires the company, or makes changes that make it more challenging for third-party tools like this?"